Born from a passion for making art’s most pristine resources accessible to people worldwide, BWM Collection is dedicated to periodically release limited edition collectible art fashion and design goodies. Offering one-of-a-kind in a price range that meets demands of both art enthusiasts tight on the budget and High-End Collectors, BWM Collection target making art more accessible to all industry participants. BWM Collection was funded by Sri Priya- a High Tech Entrepreneur, inventor, Advaita Vedanta Yogi/Philosopher and a versatile Artist mastering over 12 different art forms. Among her creative inventions, a new to the art history, painting expression, featured also at the Whitney Museum of art in New York, and amongst others, can be found at The Clinton Presidential Library Art Collection. Sri Priya regards herself as a Da Vinci follower and always keeps her creation and research with one eye on the science and the other on the arts. 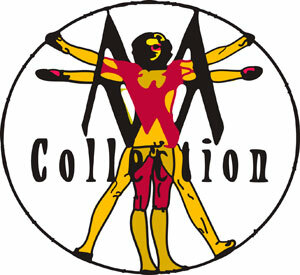 BWM Collection Logo, simulating da Vinci Vitruvian Man, celebrates her firm belief that with the right training anyone can be a Da Vinci. Following Da Vinci code and path, BWM Collection promotes cutting edge Contemporary art and tools formulated to unleash creativity, inventiveness, and self-awareness.